Triple-y Twisted, the new DB? So I was running out of the house today, ready to do my go-to double braid (the DB), when I thought, why not do three twists instead of two braids? Both use three 2 in 1s, which were already on my head all ready to go! So I tried it, and do I ever like it! What do you think? Do you think this will be the new DB? Wishing you all a lovely weekend! Remember to take a moment, breathe in the miraculous air around you, and be thankful for all the miracles in your life! Thank you for making the Wrapunzel community the living miracle that it is! I love this wrap!! Is there a way you could do a tutorial on how you wrapped it? Also is there a way we could see more styles with glasses? I have to wear glasses and some wraps look better then others. Thanks so much. I agree out needing more wraps for wearing glasses. I have bifocals that I wear all the time. 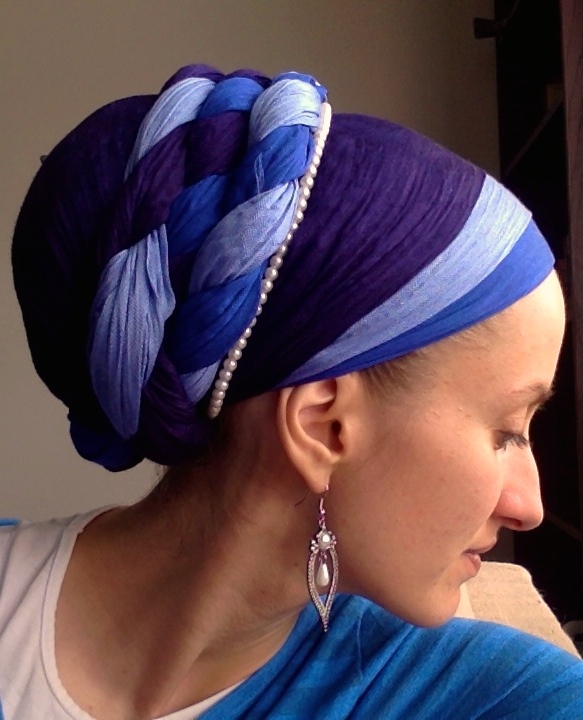 This is perfect for Shabbat, when you cannot braid! I love how it looks. Is there a video for this one? And how is it done if not braided? Wow! You just look great!!! 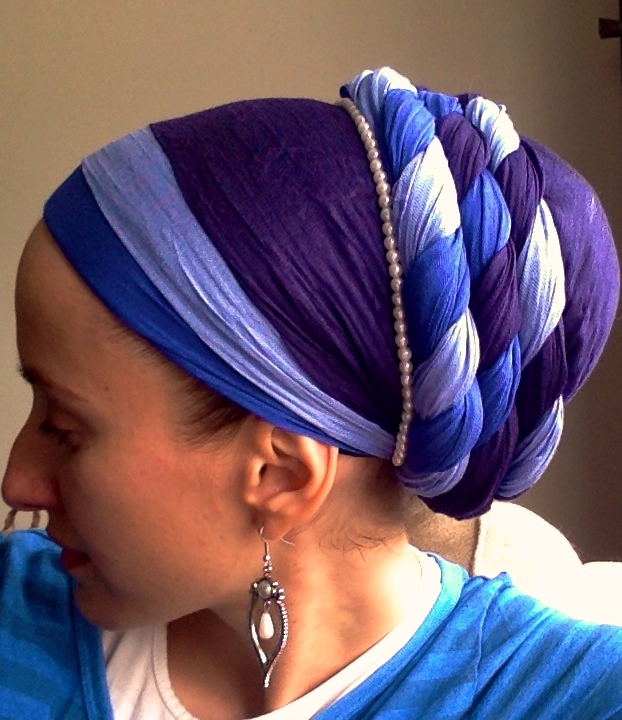 This is one I have to try with other scarves. VERY nice! And it looks easier to do, too. This is totally the new DB. Loving it! Pingback: Lotsa Wintery Twists! | Wrapunzel ~ The Blog!